As the excited aunt to twin girls, I was ready to start spoiling these baby girls before they were born. 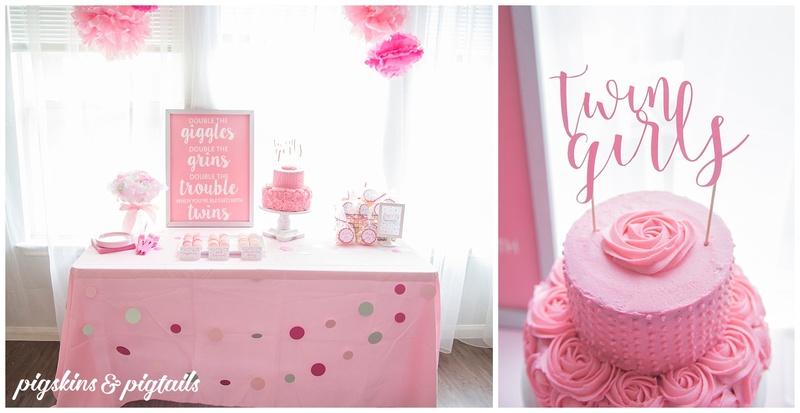 With the help of family and friends, we hosted a very pink baby shower. 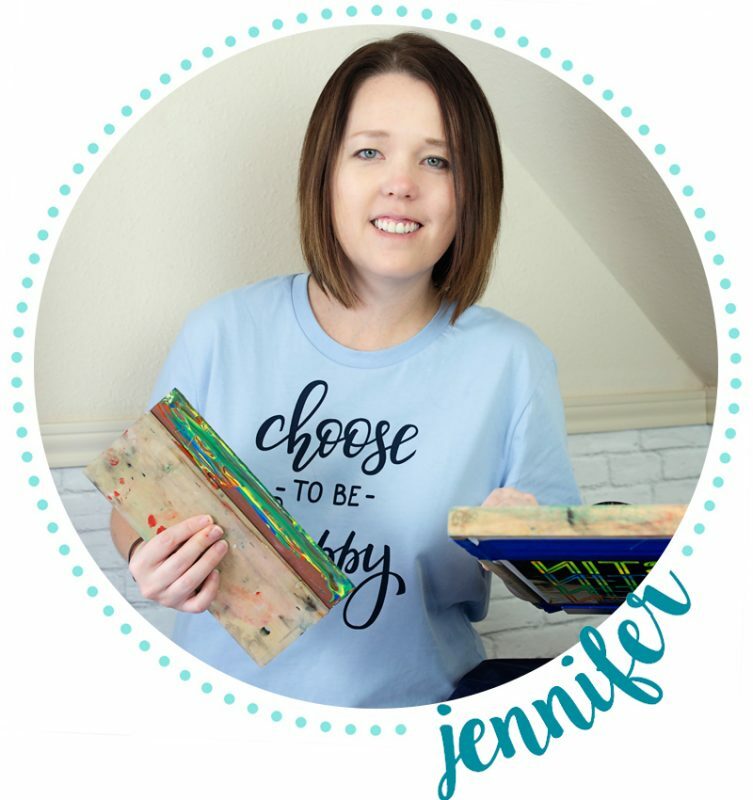 I’m excited to show you the details of this celebration! 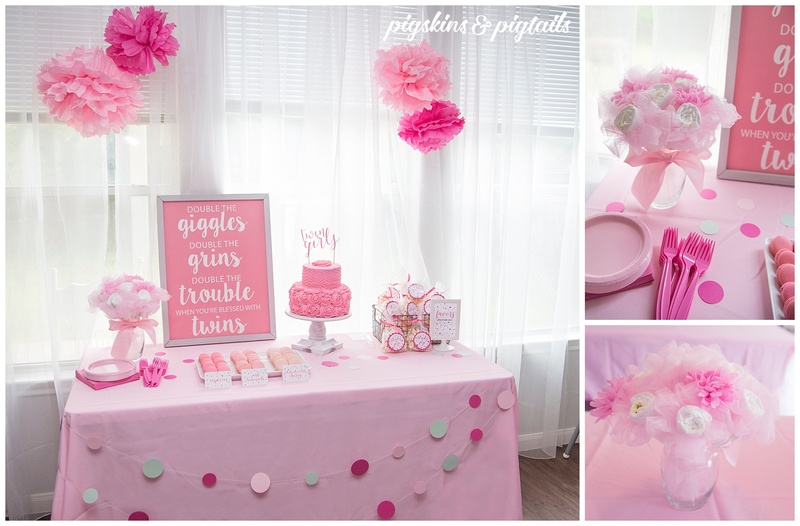 THE DECORATIONS: Diaper bouquets were made with rolled diapers, tulle flowers and pink artificial flowers in a glass vase. 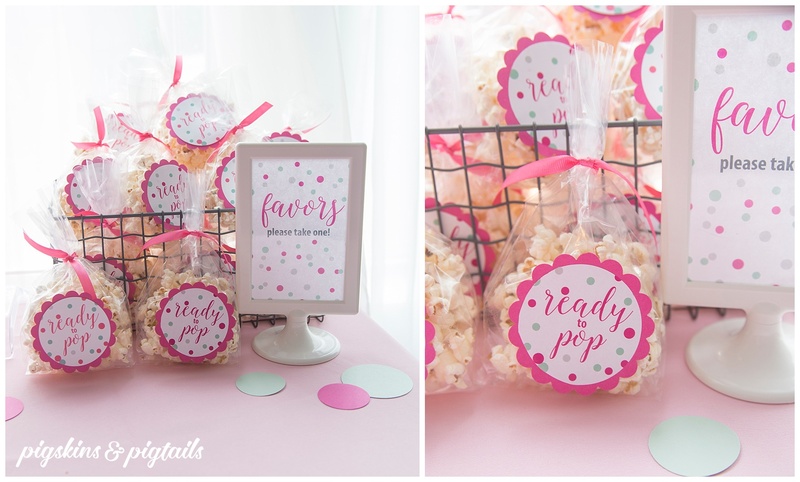 For favors, we packaged popcorn with the “Ready to Pop” printable tag. 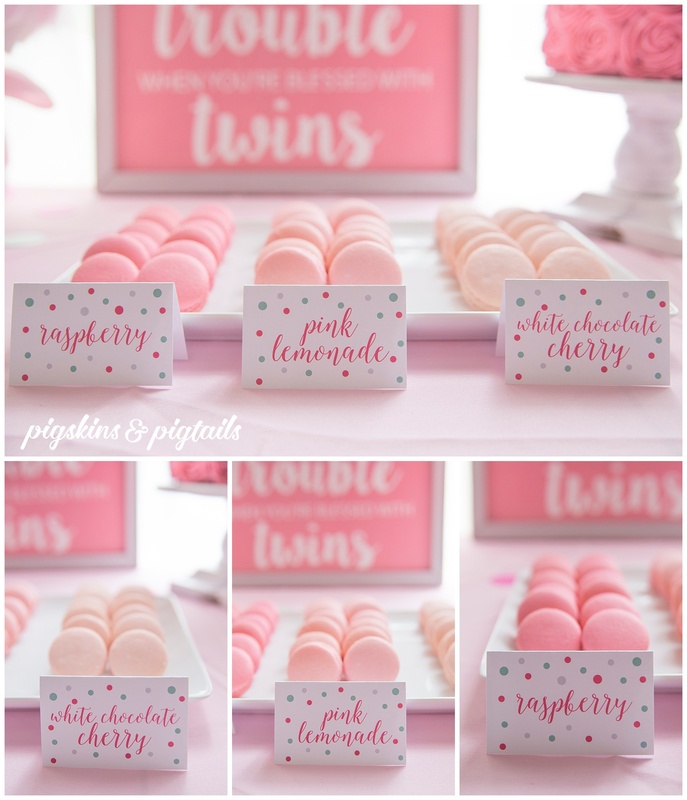 THE DESSERTS: Yummm… the dessert table! Delicious macarons were a special delivery from Maryland, sent all the way to Texas. The 3 colors and flavors went perfectly with the party colors…and they tasted great! The rose cake was topped with this cake topper design to match the invitation design. THE INVITATION: In the invitation, we added a note for guests to bring packages of diapers to enter in our Diaper Raffle. 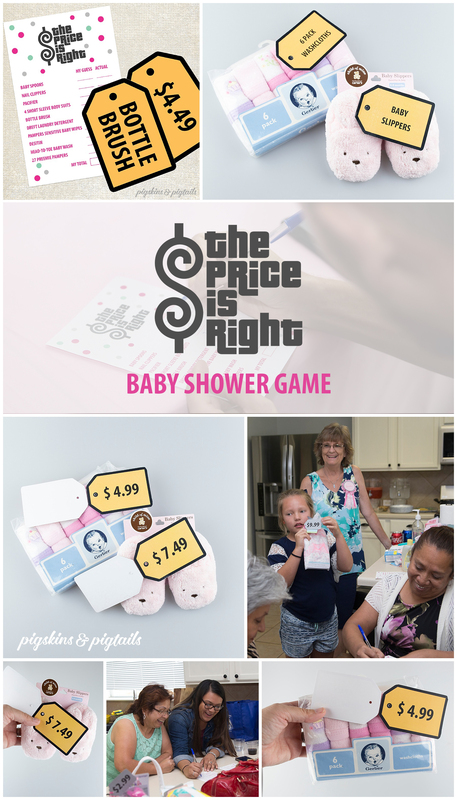 We used these diaper raffle tickets. Guests who brought a package of diapers filled out the card with their name and put the ticket in our DIY ticket box… a recycled wipes container! SPECIAL TOUCHES: The mom-to-be and grandmoms received DIY corsages to wear. The corasages were made from fabric flowers, ribbon and cardstock.